You can get life insurance approval with Myocarditis!! Finding an affordable life insurance policy with Myocarditis can be quite the challenge. Can I Qualify for Life Insurance if I have Myocarditis? Best Case Scenario – If Cardiomyopathy is detected early, symptoms of palpitations, heart murmurs or swelling are controlled and complications of congestive heart failure prevented, most cases have a “Mild Substandard” rating. Click here for quote at “Mild Substandard”. How many years have you been diagnosed with Myocarditis? Myocarditis is a preventable condition and the flulike symptoms and heart abnormalities can be managed well when detected early. Longevity of the condition, however, increases the probability of complications such as congestive heart failure. Have you experienced any symptoms of infection within the last six months? Symptoms of flu, tonsillitis or nasopharyngitis can be flare signs of Cadiomyopathy. These symptoms may be warning signals of a progressing condition, which may require a more thorough evaluation before a rating can be given. 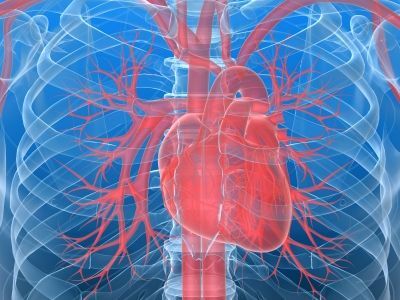 There are medications such as antidepressants, antibiotics or chemotherapy drugs that can cause inflammation of the heart muscles. If you are under medication and are diagnosed with Cardiomyopathy, a more thorough medical evaluation will be required to determine the most appropriate rating. Regular visit to your cardiologist is a good sign of control of the condition and may get you a “Mild Substandard” rating. It is, however, necessary for laboratory and diagnostic exams to confirm the absence of complications such as congestive heart failure. Recent laboratory and diagnostic tests that will show your actual condition include ECG, cMRI, C-reactive protein (CRP) and angiography. Good results of these tests may confirm your compliance with your physician’s management. Myocarditis, also known as Cardiomyopathy is the inflammatory process that occurs in the muscles of the heart (myocardium). The common cause of inflammation is either a viral infection or as a response to certain drugs. 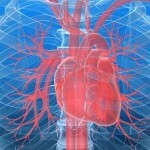 Mild forms of Cardiomyopathy involve damage to the heart muscles but without any blockage to the artery. Other symptoms of Myocarditis include abnormal heart rhythm, murmurs or regurgitations, palpitations, fever, congestive heart failure signs such as shortness of breath and swelling. The usual initial complaint of patients with Cardiomyopathy may be flulike symptoms, upper respiratory infection, tonsilitis or nasopharyngitis. In some cases, Myocarditis can also be the result of an autoimmune response reaction to the presence of myosin. Cardiomyopathy is an encompassing condition that can be asymptomatic and resolves by itself or it can be seriously life threatening that shows some chest pain, signs of heart failure that may end up in sudden death. Among the toxins that have been found to cause inflammation of the heart muscles include chemotherapy medicines, antibiotics, ethanol substances, tricyclic antidepressants, and antipsychotic drugs. There are also physical causes such as very high body temperature, radiation and electrocution. See all our other articles on Heart Conditions and Click Here!